Forest Hills Golf & RV Resort, and Resort Park Model Sales. Learn more about our wide selection of park models from the manufacturer, Skyline. For your convenience, we've also included links to some of the area's attractions. 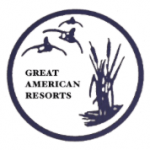 BREEZY POINT – Minnesota’s premier family resort located on beautiful Pelican Lake. FOREST HILLS – Minnesota’s foremost RV & golf resort located in Detroit Lakes. RESORT PARK MODEL SALES – View our beautiful park model homes we offer for sale. SKYLINE – Beautiful park model homes available through our park model dealership. MILLE LACS LAKE TOURISM COUNCIL – Discover what the Mille Lacs Lake area has to offer. FATHER HENNEPIN STATE PARK – Near Isle, MN, this park is famous for its small group of albino deer and views of Mille Lacs lake.